Have a craving for Mexican food? 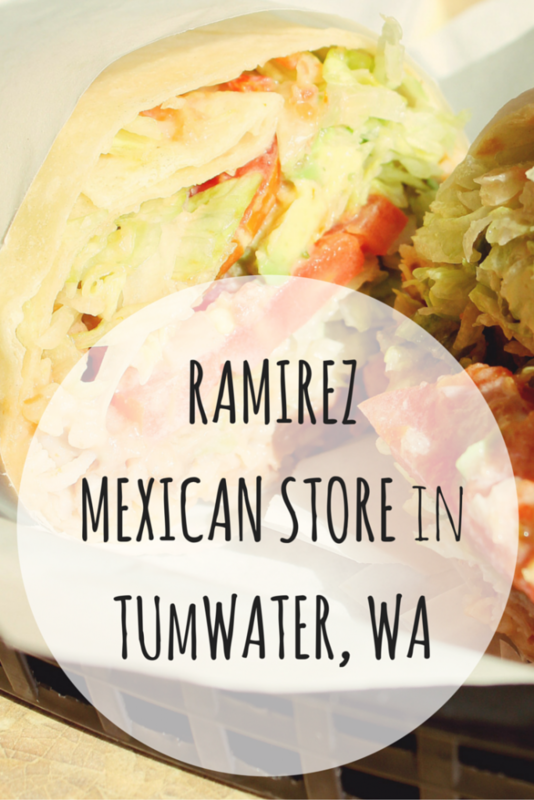 The Ramirez Mexican Store in Tumwater, Wash. has it all: enchiladas, burritos, tacos, the list goes on and on! The store is half market/half restaurant, ready to meet all of your Mexican cooking and eating needs (they even make their own tortillas fresh every day!). Living in Olympia, I seldom make it to Tumwater except for the occasional Costco trip. An old Spanish tutor of mine was the first person to take me to the Ramirez store's restaurant and I haven't been able to shake the images or flavors of their veggie burrito from my mind since that day. Did I mention that they have wonderful horchata (a sweet rice drink with cinnamon and sometimes vanilla). But Jared insists that the beef burrito is just as good! Before leaving, we always take a look around their market for goodies such as these candies (above), tortillas or some fresh guac/salsa. Pin it for your next Tumwater trip!